The only entrance gate is centrally located on the southern façade framed by two quarter-round buttresses. 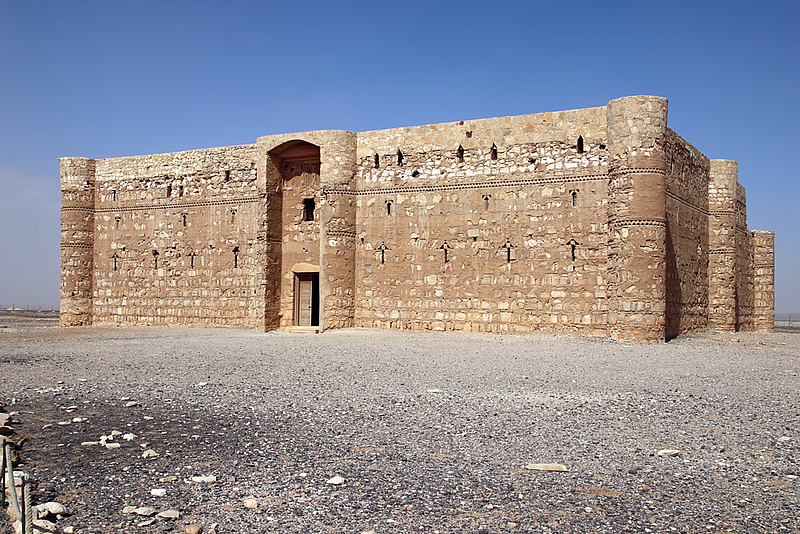 Each corner of the 35 m square structure has a three-quarter-round fortification, while semicircular buttresses support the remaining facades at their center. Narrow openings appear to be arrow slits, however they actually serve to provide light and ventilation. Imposing and well preserved castle from the early 8th century used for political meetings between Umayyad rulers and local tribal leaders.